"This is not allowed! 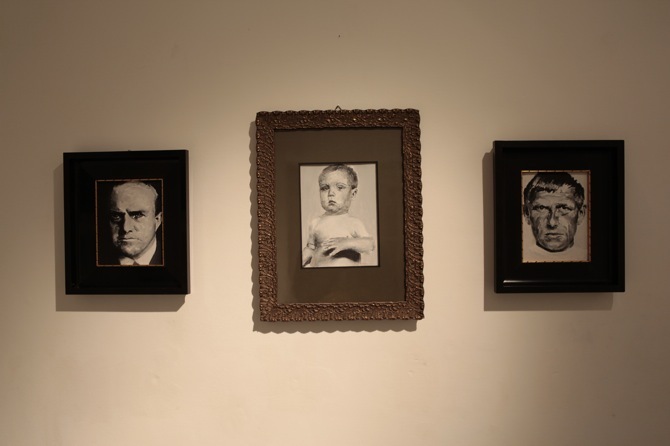 ", a little boy says to his mum, pointing at the black and white portrait of a man, who looks quite familiar to him. "You mean, because its Hitler? ", his mum asks, and the boy answers "No, this is Dali!" Santiago Ydañez will be happy about this dialogue. 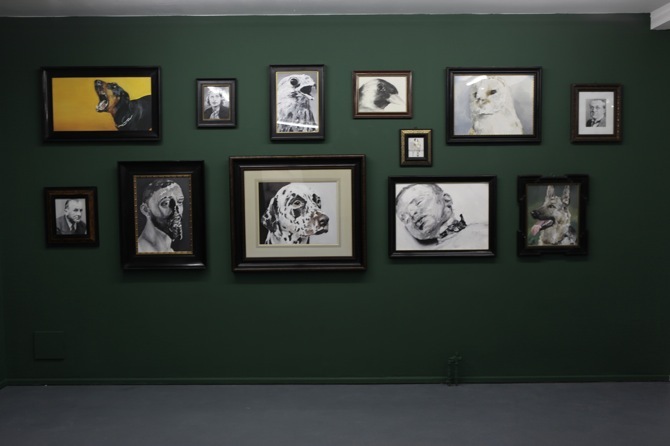 It took place at his current show "Schmutziger Schnee" (Dirty Snow) at Invaliden1 gallery in Berlin. 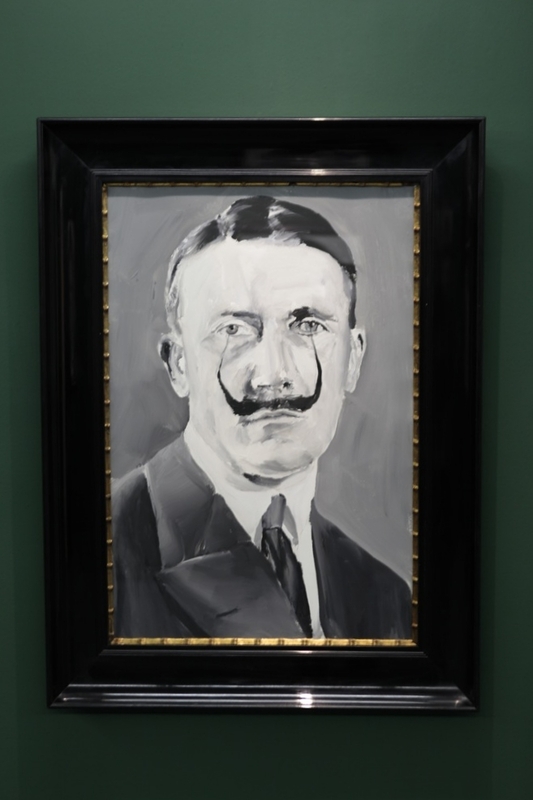 While most of his works employ irony, this particular show intends to fight intolerance with irony, which includes German's being incapable of making fun of anything related to the second world war. The Hitler-Dali-Hybrid is a true hightlight: his eyes are pierced by his ridiculously extensive moustache, his mouth forms into a cynical smile. Everything Ydañez paints appears effortless: The brushstrokes are huge, the paint is roughly applied, and still, the characters have striking facial expressions. Most of them face the visitors, sending a hypnotising view out in the gallery space and charging it with secrecy. Ydañez chose a dark green museum colour for the walls, enforcing the mysterious feel, and placed the paintings in old wooden frames. It is not for the first time that the Spanish painter plays with old traditions and old-fashionedness. He highlights the old, in fact adulates it, and finds back to the contemporary only by using irony. 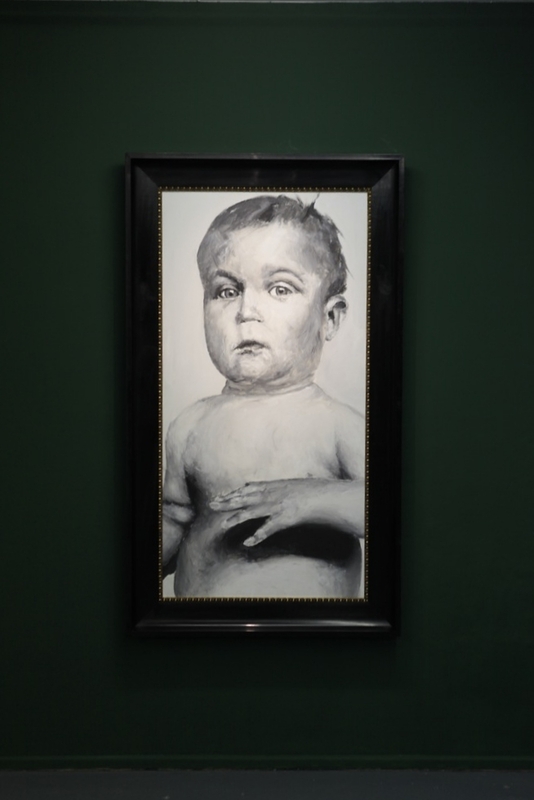 Most of his works show portraits of people or animals, kept in earthly or black and white tones: Dogs, birds, babies. Three pieces are placed in small glass cabinets. 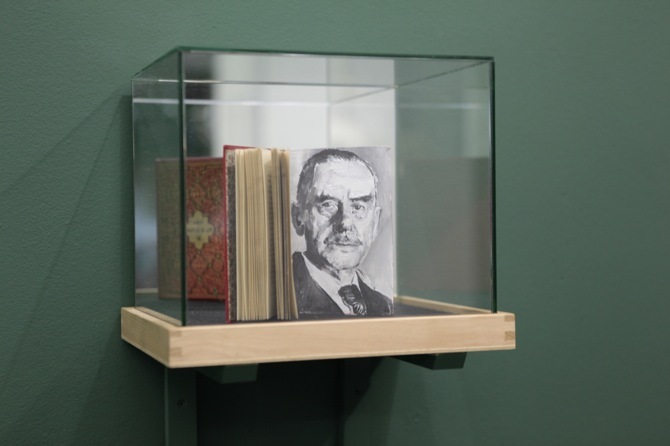 These are untypical in Ydañez' Oeuvre, as they are small paintings, showing for example a portrait of writer Thomas Mann, applied inside antique pocket books. 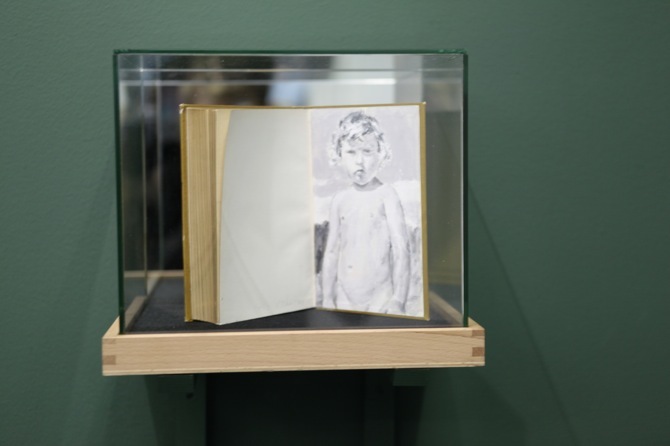 While the artist usually prefers to paint with large brushes, as he loves the physical act of painting process itself (see the ->interview I did with him a year ago), the small book portraits miniaturize his work. They are presented as precious little treasures that keep a whole story hidden inside the old hardcover. In "Schmutziger Schnee" Santiago Ydañez becomes the story-teller: not only because his book paintings suggest a narrative reading, but also because each painting refers to a singular image that has been ripped out of a story - they are moments, random shots, inviting to rest and to meditate on their past.